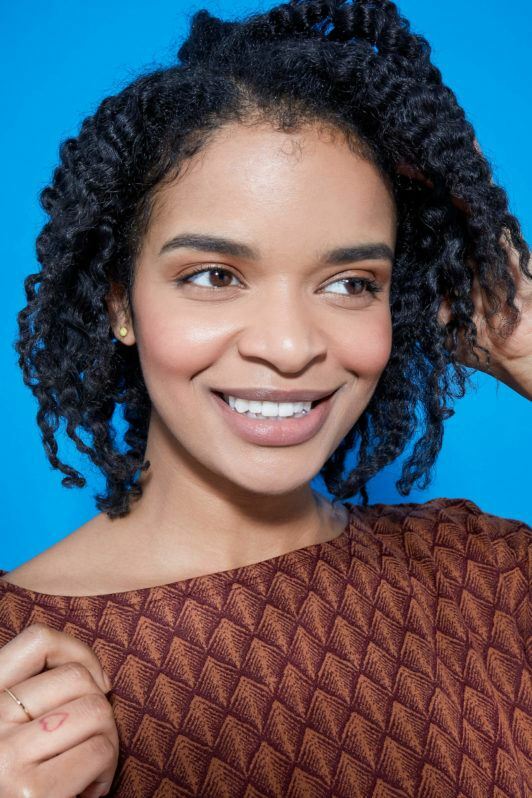 Your guide to creating and styling one of the most popular natural hairstyles: braid-outs. One too many times we’ve seen the braid out get confused with other natural hairstyles like twist outs. So what is a braid out you ask? 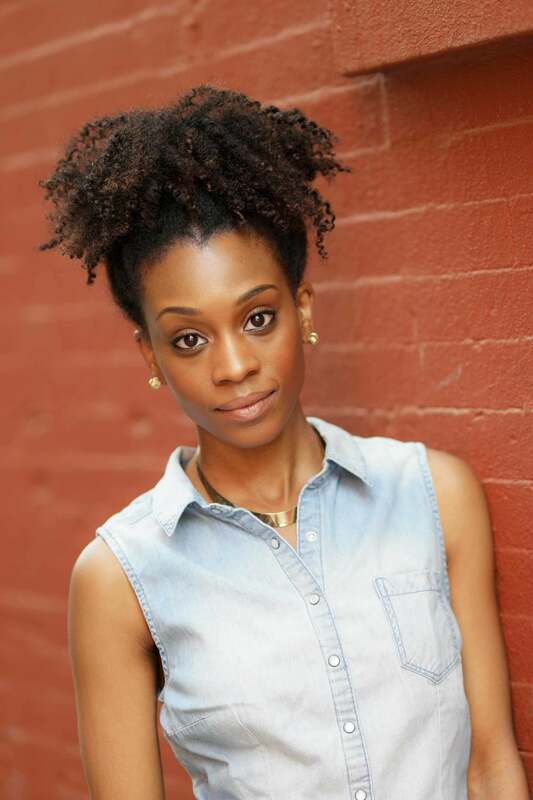 The braid out is simply a natural hairstyle that is created by using three-strand braids. 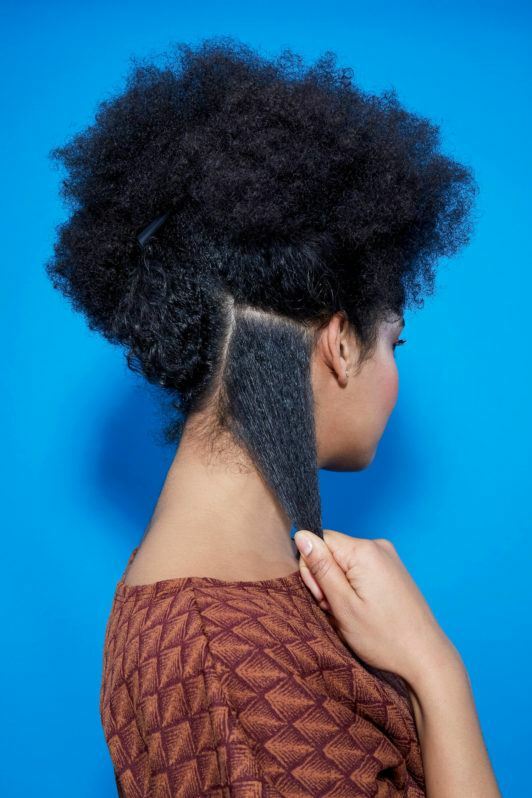 The braids are usually done on damp hair, set overnight or for a few hours, and then loosened (once dry) to reveal a stretched, crimp-inspired curl. 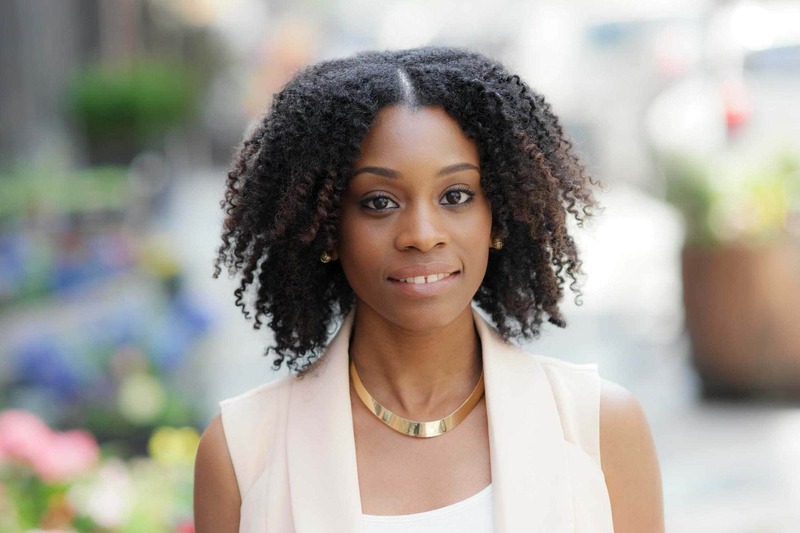 There are numerous techniques that can be used to create or alter the look of braid outs. A few of our favorites: Create a head full of small braids to create super defined curls, big braids to create a fluffier texture, or add flexi rods to a braid to create a ringlet/crimpy curl. 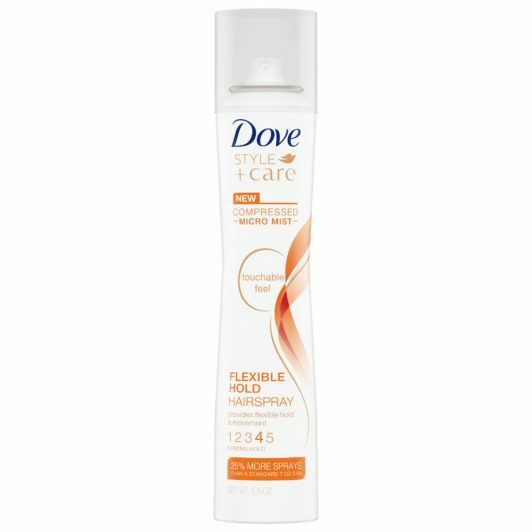 Spritz this section with a good leave-in conditioner to help smooth and stretch the hair. Our current obsession is with the TRESemmé Botanique Nourish & Replenish Hydrating Mist which helps smooth, condition and gently detangles to leave hair beautifully hydrated and ready for styling. 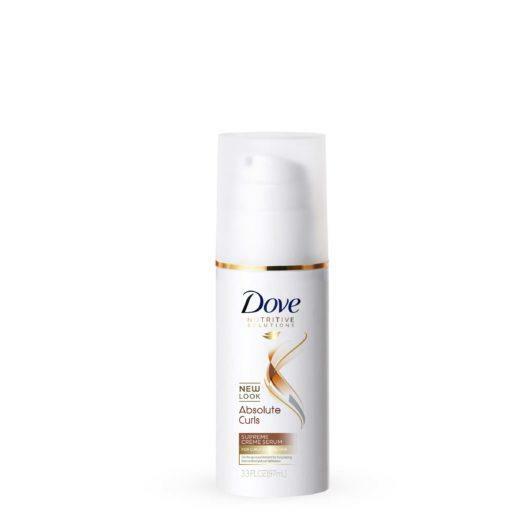 Now that you’ve hydrated your natural curls, it’s time to smooth down any frizz that might try to ruin your braid out. 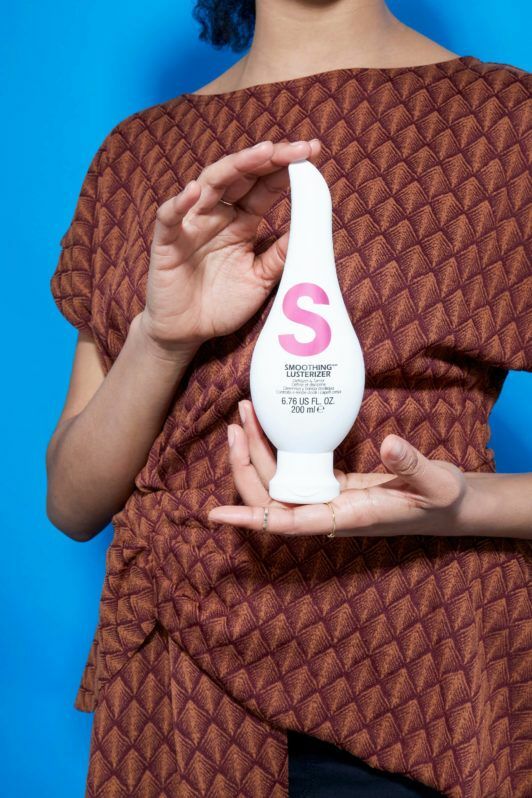 Try applying S Factor by TIGI Smoothing Lusterizer from root to tip and comb through with a wide-tooth comb to further detangle your hair. 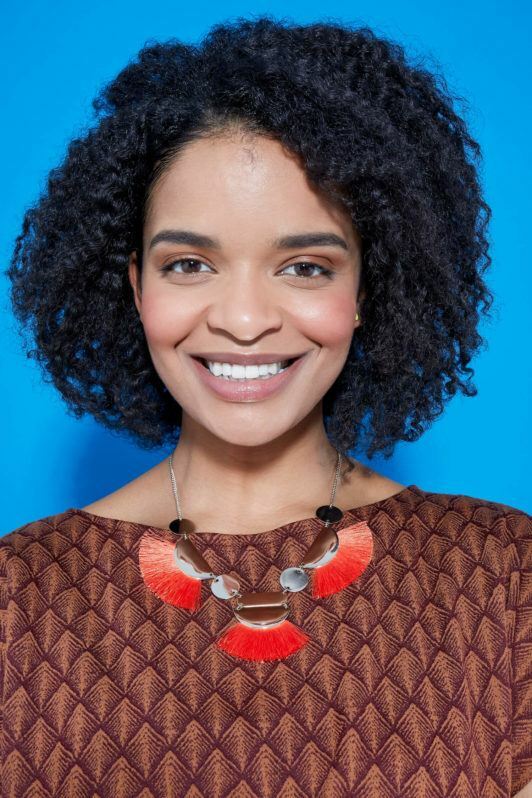 You’re now ready to start your braid out! 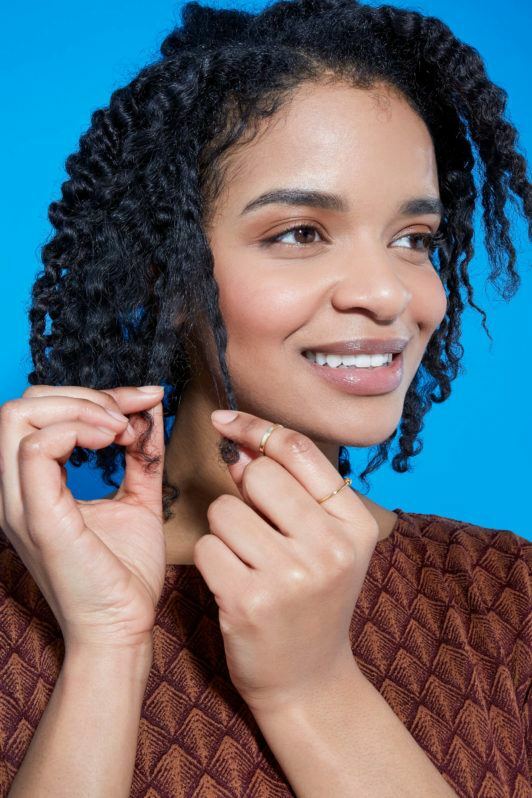 Simply do a regular 3-strand braid, twisting the end to give a more defined curl pattern. Repeat steps 1 to 4 until you have braided your whole head. Now you can either wait until your braids are dry or catch some beauty sleep with them in. Just be sure to protect the hair with a silk scarf or bonnet if you’re sleeping with them in. When you’re ready, undo the braids. 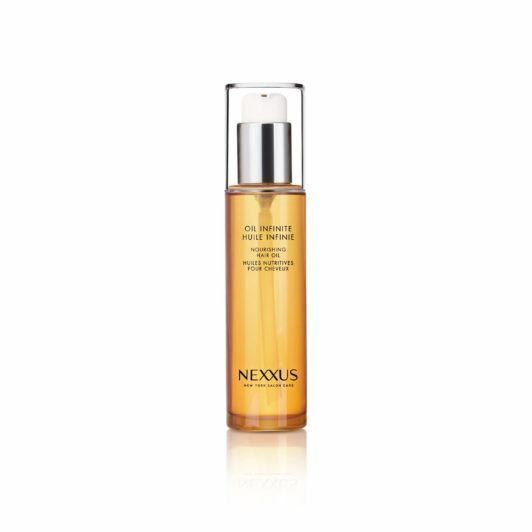 To make this easier, apply a few drops of the Nexxus Oil Infinite Nourishing Hair Oil to the fingers when unbraiding. Separate the strands by gently pulling them apart with your fingers. 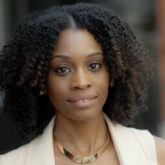 Tip: Separate them where they naturally want to go, as this will reduce frizz and help maintain definition. 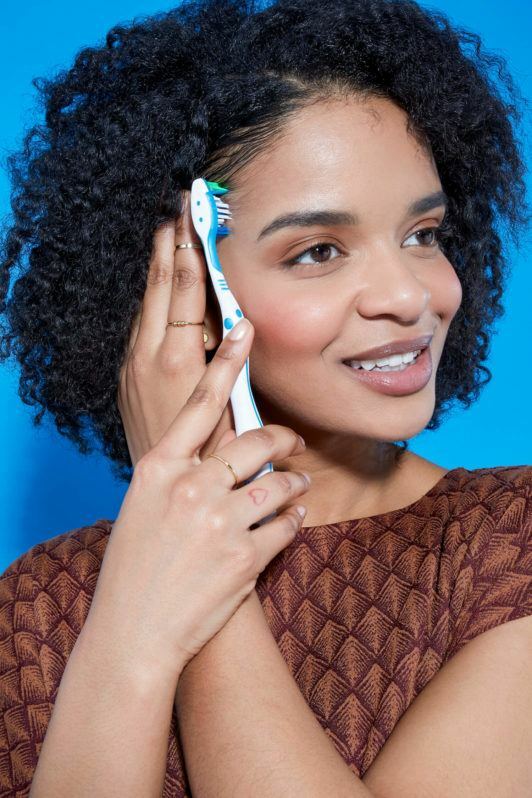 For the finishing touch to your braid-out style, take a toothbrush and apply a small amount of Bed Head by TIGI Hard Head Mohawk Gel to control any baby hairs around your hairline. Not enough volume? Then fluff out the roots using an afro pick. And you’re all done! A fabulous braid out completed in no time. Besides the high pony, this trendy half-up style is yet another way to wear the braid out look, and get your curls out of your face. This style is perfect for hot and humid summer days. Pull back a section of hair at the front, and secure with hairpins. 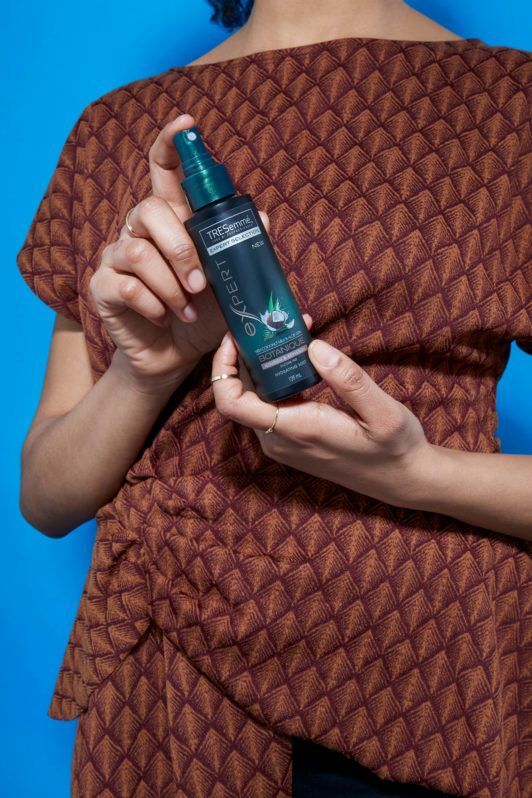 Fluff the back of your hair by picking the roots with an afro pick or wide-toothed comb for volume and set with a light-hold hairspray like Dove Style+Care Strength & Shine Flexible Hold Hairspray. This simple look is ideal for those that don’t want to spend too much time styling their hair in the morning. 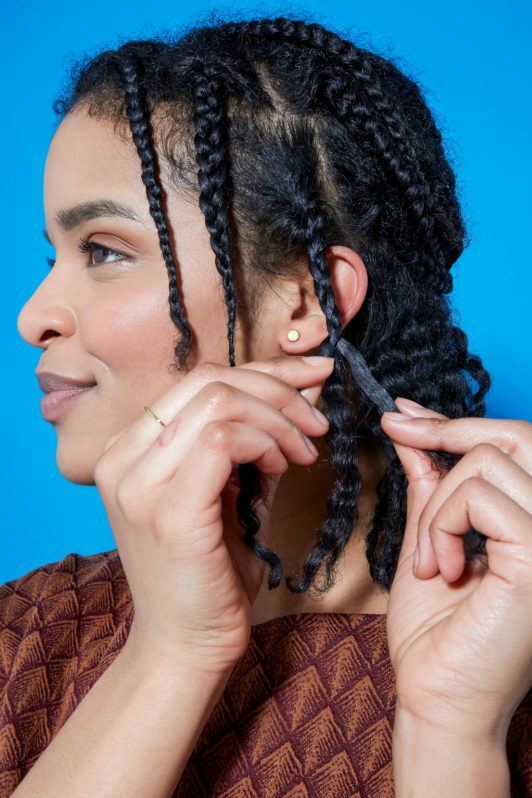 Not only is this braid out style an updo that you can wear just about anywhere, it’s also used as a technique to maintain curly hairstyles while sleeping. Get this look by using your hands to gently gather your curls into a high ponytail and loosely secure with a hair elastic. Many naturals use the braid out style as a wash and go alternative. 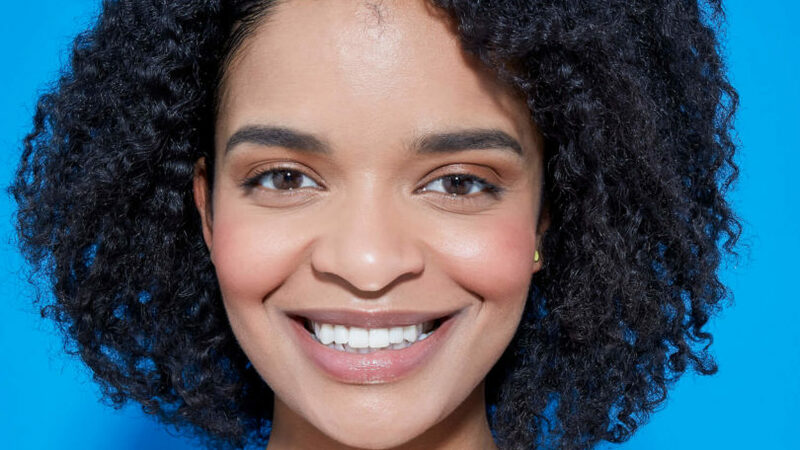 Truth be told: Wash and go styles are a cute way to show off your natural curl pattern, however, it doesn’t work out for everyone. 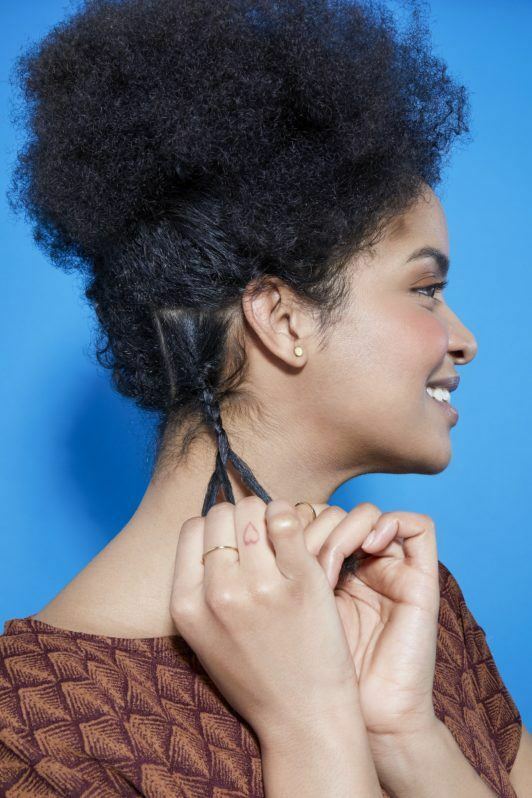 The braid out helps you create a similar style with a more stretched-out look that helps with length. To recreate a look like this, braid damp hair into single plaits all over your head using Dove Absolute Curls Supreme Cremé Serum. Once your hair is dry, release and apply a natural hair oil of your choice throughout your hair for shine and to help reduce frizz. 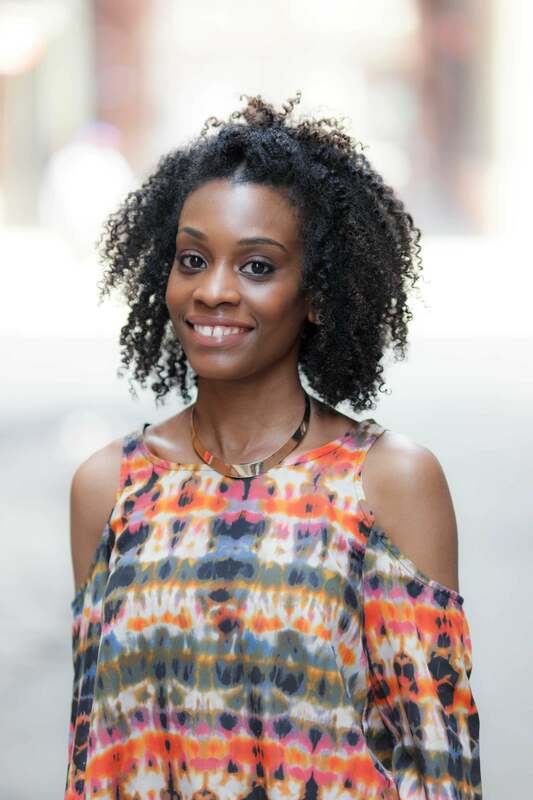 Click here to spring forward with your natural hair care game.